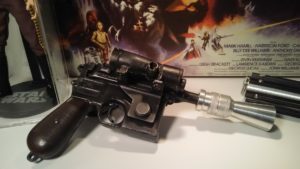 This is the first replica Han Blaster I built. 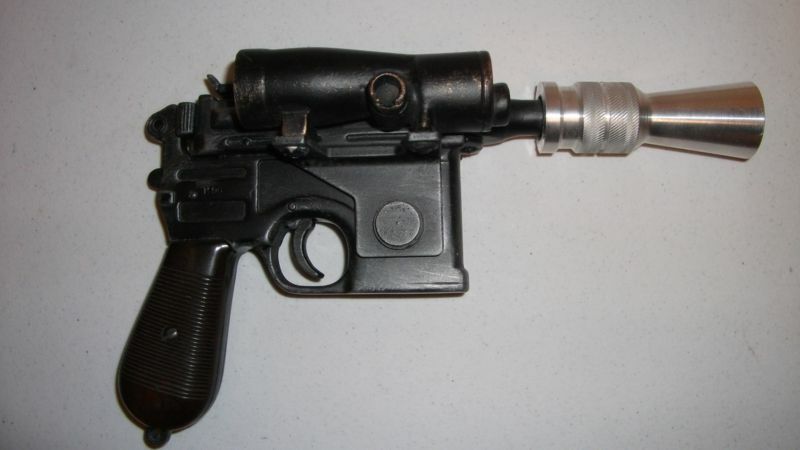 It’s built on a Denix metal replica Mauser Broomhandle pistol, with a metal scope mount bracket, resin-cast accurate scope, and a metal flash supressor that I machined on the lathe. I’d like to upgrade to a bit more accurate flash suppressor, at some point. 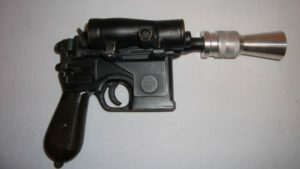 The opposite side of the blaster has accurate detail pieces from the Revell visable V-8 engine model kit. This blaster has a nice heft to it. It’s one of my favorite pieces.